Benjamin John Stevens was born in Edgware in May 1980. He joined Wingate and Finchley in the Isthmian League as a 17 year old and came to the attention of John Still at Barnet after a bout of prolific goal scoring. Still monitored young Ben's development until his 28 goals in the 1998-99 season finally secured him a permanent move to Underhill in January of 1999. 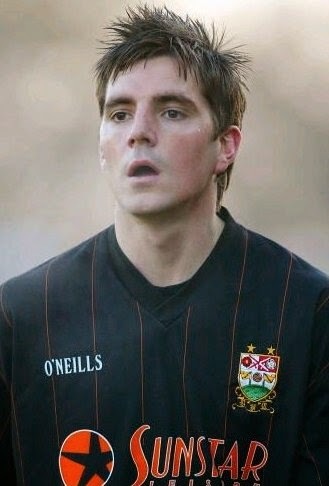 Ben was first used as a late substitute option by Still in most games and was also loaned out to St Albans, Slough Town and his old club for match fitness as the competition for the two striker positions at the club was tough – Marlon King, Kenny Charlery and Scott McGleish were all ahead in the pecking order. Lee Harrison, Sammy Stockley, Greg Heald, Mark Arber, Warren Hackett, Steve Searle, Fraser Toms. John Doolan, Darren Currie, Ken Charlery, Scott McGleish. Subs Ben Strevens, Rob Sawyers, Danny Brown, Paul Wilson, Danny Naisbitt. That squad eventually lost in the Semi-final of the Play-offs to Colchester United. The following season Ben began to make his mark although first team starts were still limited especially after the arrival of Tony Cottee, Tony Richards and later Omer Riza. However Ben made 36 appearances (including substitutions) in all scoring four times in a seemingly, to Ben anyway, alien, deeper supporting position which he adapted to very quickly. We can now reflect that he was never really given the benefit of the doubt with Barnet supporters at first, because we all assumed he would naturally continue with his goalscoring role. However John Still and later Paul Fairclough both felt that a midfield position would better suit his temperament and this experience is probably one of the the main reasons while he is still playing so well in his mid 30's. 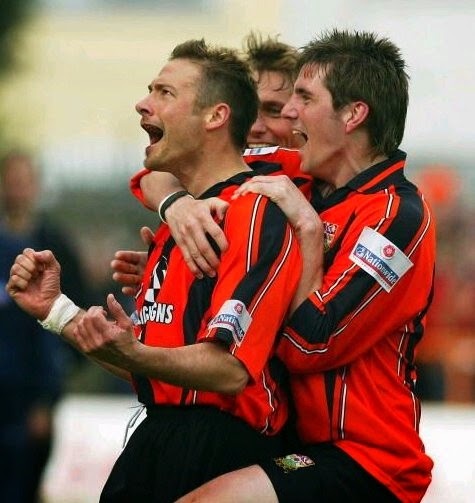 The team were relegated at the end of that season but it did give the opportunity for him to support the likes of Neil Midgley and Wayne Purser in the 2001/2 season in the Vauxhall Conference. Ben scored a brilliant first half hatrick at Nuneaton Borough in the November and had a fine all round season scoring 12 times in 34 appearances. In 2002/3 under the guidance of Peter Shreeves and Martin Allen, Ben was allowed a more forward role partnered by the prolific Junior Agogo who scored 20 goals. “Ben is a great player to have alongside you” said Junior at the time. Ben made 23 starts scoring 9 goals in what was a disappointing 11th place finish for the club in the Conference. In 2003 the arrival of goal machine Giuliano Grazioli was the next stage in Strevens' development. Graz has always said “The perfect partner for me every time is Ben Strevens and every player who has played in the same team as Ben will all tell you they would always want him involved because he is the type of player that gives you a comfort factor, a reliable team mate. 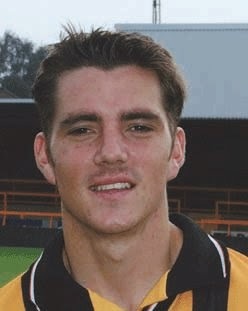 He was without doubt was a massive factor in my success at Underhill. We became great friends too”. Manager Martin Allen was genuinely full of praise for Ben when he told me. “If fit he will always be a player who will be entered on the team sheet in pen not pencil”. The Bees finally finished 4th in the table and were rewarded with a Play-off semi final against Shrewsbury Town. On a tense evening at Underhill in the first leg Ben had a game to remember confidently putting away a first half penalty before Simon Clist scored a dramatic winner in injury time. In the 2nd leg Barnet narrowly lost 5-3 on penalties after extra time and a 1-0 scoreline at full time. 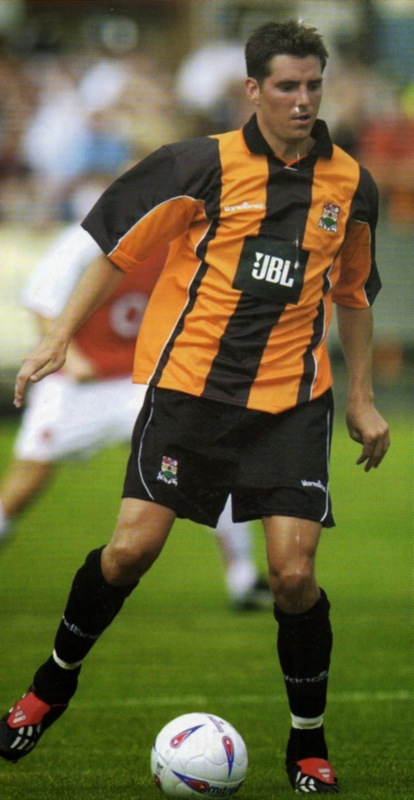 2004/5 was the Conference winning season for Barnet, Ben playing a massive part in proceedings reverting mainly to a midfield role supporting Richard Graham or behind strikers Grazioli and Liam Hatch. Manager Paul Fairclough had a richness of talent to chose from as Ben would be alongside the likes of Dean Sinclair, Nicky Bailey and Dwane Lee in midfield, halcyon days indeed. A further 41 appearances in 2005/6 and six goals was decorated by the League Cup tie at Manchester United's Old Trafford. “The most exciting day of my life” said Ben. Dan Flitney, Ian Hendon Paul Warhurst, Simon King, Barry Fuller, Simon Clist, Andy Hessenthaler, Nicky Bailey, Dean Sinclair, Liam Hatch and Tresor Kandol. Subs Ben Strevens, Adam Gross, Paulo Venazza, Lee Roache and Matt Reed. Much to the surprise of the Barnet faithful, who by now had more than warmed to Strevens and considered him a vital component in the side, he moved in a free transfer to Crawley Town in late April - and scored on his debut for them! Even now it seemed strange that he should move at that time and perhaps we will never get to know the real circumstances behind it. The facts are that Ben was as popular at future clubs Crawley, Dagenham & Redbridge, where he has had two spells, Brentford Wycombe and Gillingham just as at Underhill and regarded as a players player in every team. His latest club is Eastleigh where he signed during this summer joining ex Bees Damien Batt, Ross Flitney, Craig McAllister and Glen Southam. At the time of writing they are top of the table in the Skrill League South. At 33, Ben still has a good few years left in his legs by all accounts and has amassed some 600 appearances so far in his career. He is one of the players in our history who will be remembered for his strength in footballing character rather than flamboyant skills and acrobatics and his contribution to our success in the mid 2000's should never be underestimated.